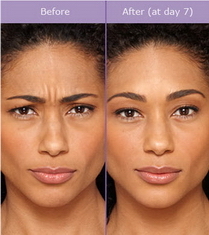 BOTOX ® to prevent and diminish wrinkles and aging lines of the face formation now and in the future. Laser for brown spot removal, veins and hair removal. 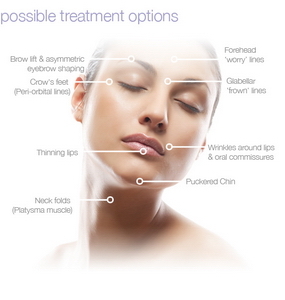 Fillers such as Restylane, Juvederm or Perlane to correct moderate to severe facial wrinkles and folds. 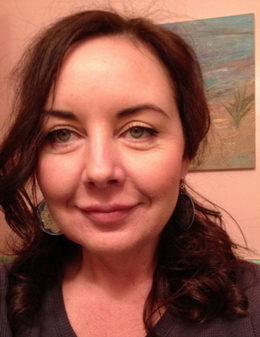 I have an eye for balance and beauty, being a published artist as well as a nurse. I believe in restoring and maintaining symmetry and balance to the face, but also in individualizing treatment for every person, because each face is unique with their own special features. I work with you individually, going over what your particular concept of beauty may be, which unique features you may wish to preserve or change, and believe in working with you toward that vision together. 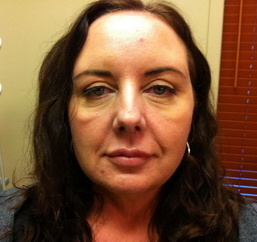 Many people think that fillers are injected just to fill in wrinkles and lines. What I do goes beyond just filling, to actually analyzing each face individually and reshaping the face to more youthful proportions. Over time, nature takes away cheekbones, the youthful fullness of the cheeks and lips, the luminosity of skin we had as children. As we age, lips become flatter and thinner ,the cheeks move downward, causing the lines to form from nose to mouth, adding to an older appearance. You can continue to have a more youthful appearance with regular maintenance. 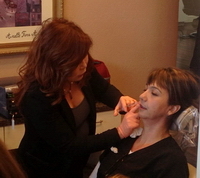 Come in for a consultation with me to see what can be done to return you to a younger, more refreshed look. 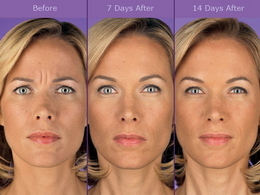 Just a few injections in the right place can give you the look you desire. When done correctly BOTOX ® and filler injections can be a wonderful experience giving you confidence and comfort in your looks in just one visit. View the results for some of your clients. "I was so nervous about getting Botox and filler injections that I almost bailed....but I am so glad I went through with things. Marian is patient, gentle, kind, and even made me laugh and relax. She has an artist's eye and the technical expertise to be great at what she does, and I trust her." "Marian is the best!! I had my laser hair removal from Marian and she really listens to you and gives you what you want. She makes sure that I am never in pain." "To Create Beauty, you must first understand it"
Your comfort and your result is important to me. I use an injection technique that will pleasantly surprise you and is done with little to no discomfort.